Love this cd! Great for soothing sad babies on long car rides. 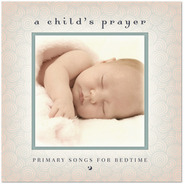 The songs on this CD are so wonderful to set the tone for bedtime. I have been giving it as baby shower gifts! Baby Mine is a soothing, calming, beautiful collection of classic favorites. My little one loves it. We listen to it almost every night when getting ready for bedtime. It leads her right inti peaceful dreams. I just love this CD series. The soothing arrangements help my baby sleep, and I know she's getting good messages too!